The importance of education cannot be over stated. With routine jobs being replaced by a combination of robots and artificial intelligence at an ever-increasing rate, the need to prepare our youth for new and different careers is intensifying. Tomorrow’s jobs will require innovation, creativity, and strong STEM skills. To foster innovation in education and recognize model school districts, Extreme Networks created the Exemplary School Award. Last quarter, the Exemplary Award was presented to Manassas Park City Schools​ and School City of Mishawaka. This quarter, we are happy to announce two more recipients: Granbury Independent School District and Chelmsford Public Schools. The City of Granbury, Texas is just outside of Dallas and Fort Worth. Their school system has 7,000 on 10 campuses which encompass 254 sq miles. The district has invested over $10 million in building a robust infrastructure to support model classrooms and a Bring Your Own Device (BYOD) initiative with the ability to grow with increased student needs and educational standards. They have also completed a fiber optic wide area network to increase the bandwidth at all campuses. Recent improvements include new standardized technology for every classroom, with interactive and mobile learning devices; classroom audio for teachers to be clearly heard while presenting instruction; wireless Internet enhancements; and network operation improvements. The investment in technology follows the G2020 strategic plan for a “technology infrastructure to provide 100% of our learners with access to the technology tools necessary to compete in an ever-changing world.” The plan adopted in May 2013 set the goal of creating dynamic classrooms to support a project-based learning curriculum. The results speak for themselves. GISD has a 98.2% graduation rate, outperforming the regional average of 91.2% and state average of 90.9%. GHS received silver medal recognition based on demographics, participation and performance on college readiness tests (SAT/ACT), the number of students taking Advanced Placement and dual credit courses, and other criteria. The ranking puts GHS in the top 10% of high schools in the nation. In addition, Crossland Ninth Grade Center earned bronze medal honors in 2015 and 2016. GISD technology staff above (left to right): network engineer Cary Van Loh, network services manager Mike Cullers, director Amy Wood, and senior network administrator Curtis Starnes. They are joined by Extreme Networks education specialist Jerry Yarborough and senior systems engineer Wes Williams, along with IK Network Solutions account executive Chris Gonzalez. Chelmsford, Massachusetts is located 24 miles northwest of Boston, next to Lowell. The mission of Chelmsford Public Schools is to cultivate inspired, creative, and well-rounded lifelong learners who possess the integrity and self-direction necessary to be contributing community members. The school system currently has 5,000 students and 366 teachers. The wired and wireless network extends to all classrooms and all the way to the football field. Over the past four months, Chelmsford has added over 230 Chromebooks and 65 IP cameras at the high school. To insure plenty of bandwidth, Chelmsford increased their bandwidth to 20 Gb to the high school. They have also implemented a second redundant core for resilience and performance. Chelmsford has been recognized for excellence in education by other outside groups as well. Because of their success in transitioning the district to digital learning, Chelmsford was named as a top 100 school by the US Department of Education and invited to participate in the National Connected Superintendents Summit at the White House. The district also participated in the PARCC online assessment beta testing. 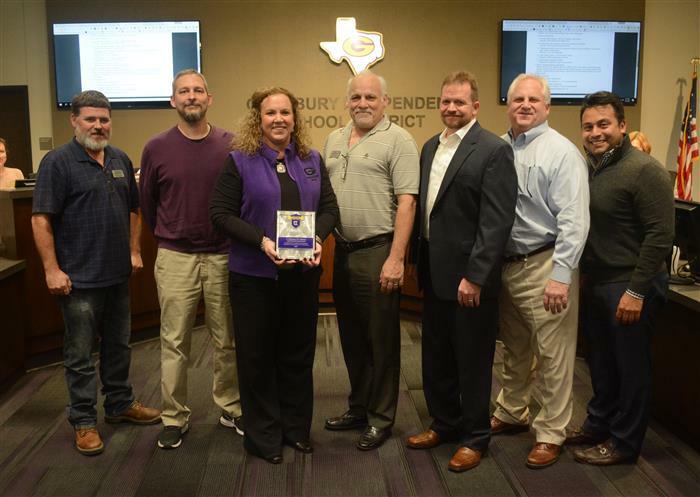 Congratulations to the latest two Extreme Exemplary Schools, Granbury ISD and Chelmsford Public Schools!